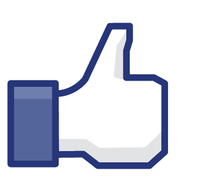 Convenience is still the main reason people shop online according, to a new survey by Trimble. More than a third (36%) of shoppers cited convenience as the key benefit of e-commerce, but crowded high streets and shopping centres (20%) and busy lifestyles (15%) are also driving UK shoppers to abandon the high street. Just over a fifth of shoppers said they would do most of their shopping online if they could and consumers also indicated that the average delivery charge of £2.99 was worth paying if it meant paying less for a product and avoiding petrol costs. The report suggests that UK shoppers are currently spending £3.5bn per year on delivery charges, or £136 per household, however this seems quite high considering the number of retailers that offer free delivery. And even though a quarter of respondents said that delivery costs are too high, 40% of shoppers are willing to pay for next day delivery and 22% would pay for delivery within a two-hour slot. Furthermore nearly three quarters of respondents agree that fast delivery is a key factor when shopping online. A recent consumer survey by comScore found that while nine out of ten (86%) of respondents said they were satisfied with online shopping overall, some of the lowest satisfaction scores were for the delivery and returns process. When asked what aspect of online shopping retailers wanted to improve 58% chose free or discounted shipping. This was followed by ease of returns/exchanges (42%), and variety of brands/products and online tracking ability (both 38%). But not all retailers get it wrong – Kiddicare’s delivery service is a great example of how online retailers can keep customer satisfied with upfront delivery information and a range of options. Not surprisingly then, the Trimble survey found that UK consumers biggest gripes with online shopping are missing a delivery and the parcel being returned to the depot or post office (30%), long delivery time (20%) and high delivery costs (29%), overall contributing to nearly half of all adults feeling unsatisfied with the last delivery to their home. Is Twitter creating a VIP customer service channel? Order something online from your favorite retailer only to receive the wrong product? Stuck at a crowded airport after multiple flights were cancelled? In a perfect world, the common occasional mishaps that are to be expected when engaged in commerce wouldn’t be such a big deal. They’d be resolved appropriately and quickly with little effort. Unfortunately, we don’t live in a perfect world and such mishaps are frequently just the start of a major headache that is caused by poor customer service. 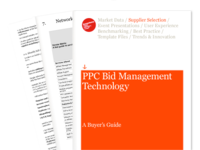 In our recently published PPC Bid Management Technology Buyer’s Guide, we set out some of the issues that companies should consider when investing in bid management technology. To provide the best advice, we approached people working at the coalface of paid search and bid management and offered them the opportunity to share their wisdom. As usual, we received far more material than we could fit in the guide. Here are some of the expert tips to consider and pitfalls to avoid that will help you get the best possible success out of bid management technology. Over the last few years, social media marketing has grown up from an experimental avenue for reaching students and twenty-somethings to a major channel for global companies to communicate with their customers. Tools like Facebook and Twitter are now a major avenue for customer service and marketing for most global brands, and users are responding in droves. It’s fun, it’s easy and it’s extremely convenient. But, these digital consumers demand elegant solutions for interaction, which has opened a host of complications for global brands.